Fatemeh can't walk her dog, Peaky, anywhere in Tehran. The chief of police of Iran’s capital said this week that dog walking would be banned everywhere in the city. “People who walk dogs will be prosecuted,” Brigadier General Hossein Rahimi said in an interview with the semi-official Fars News Agency on Tuesday. 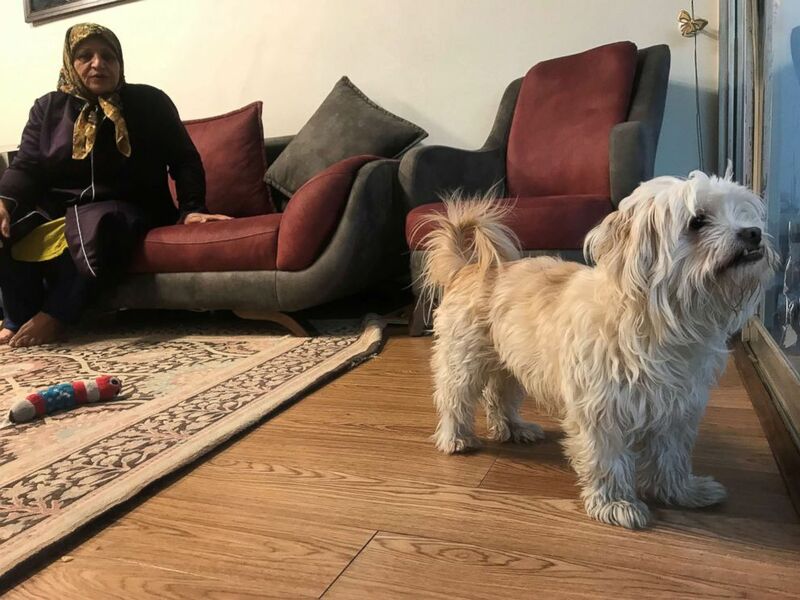 (Somayeh Malekian/ABC News) Fatemeh, a 33-year-old resident of Tehran, Iran, no longer walks her dog Peaky in public there. Above, her mother takes care of Peaky, on Jan. 31, 2019. Fatemeh requested her last name not be used due to fear of repercussions. There have always been problems for people walking their dogs in Tehran, but a clear ban makes the situation more serious. However, Fatemeh is happy for the privilege of having a backyard for Peaky. She feels sad for people who don’t have one. “Those poor dogs will get depressed,” she said. 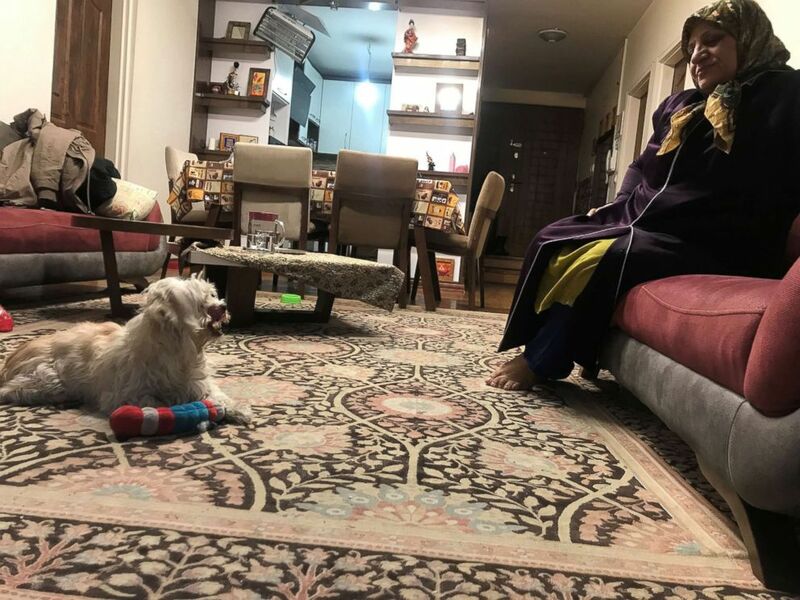 Many believe that the new restriction was created after news went viral two weeks ago about a 10-year-old girl getting seriously injured by an unleashed dog in Lavasan, a town northeast of Tehran. The news and gruesome pictures of the girl’s injuries led to a backlash against walking dogs, especially from political and religious conservatives. Walking Peaky before the new ban, Fatemeh faced mixed reactions. But not everyone has had negative experiences walking their dogs in the city. Maliheh Riyazi, 30, a sociologist, has had different experiences with the reactions of conservative Iranians to dog walking. (Somayeh Malekian/ABC News) Fatemeh, a 33-year-old resident of Tehran, Iran, no longer feels she can walk her dog Peaky in public there. Above, her mother takes care of Peaky, on Jan. 31, 2019. Fatemeh requested her last name not be used due to fear of repercussions. “I have been frequently asked in the parks by women in conservative clothing to let their children play with the dog I was walking,”Riyazi said. “They would say they couldn’t have dogs at their places as dogs are religiously considered as unclean, but they want their kids to be raised with the love for animals,” Maliheh added.